One week down in official Cherry Blossom Ten Miler training ... and what a week it was! I spent part of the past week on vacation in Las Vegas -- a city that has the potential to throw anyone starting a training plan off course. But as with any trip, it’s all about balance and prioritizing healthy habits. I never said it was easy ... but it can be done. 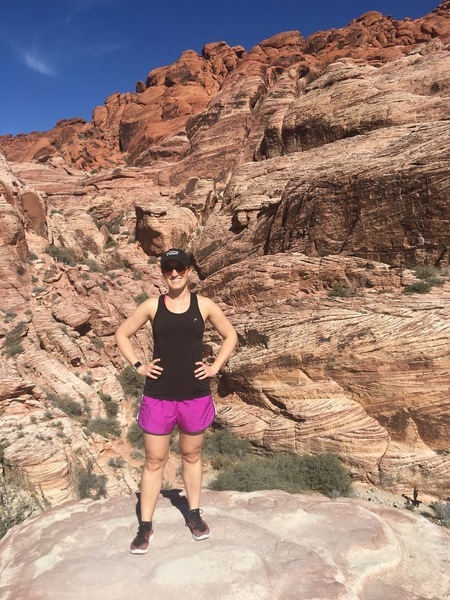 Instead of constant casino time or booze guzzling, I opted to spend time hiking Red Rock Canyon taking in nature’s beauty. 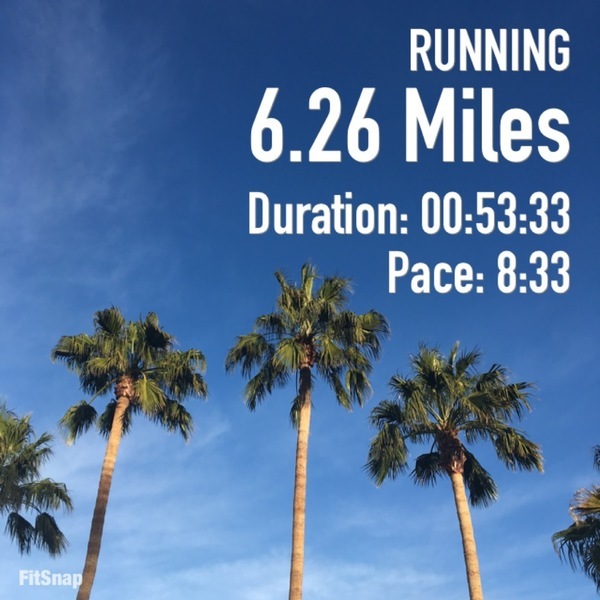 I went for a run near downtown Las Vegas, enjoying the sights as much as the day’s warmth. 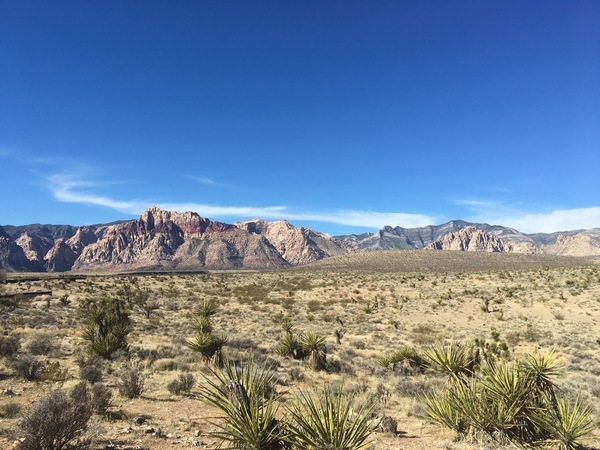 Hiking in Red Rock Canyon in Las Vegas. At this point in my running life, my friends and family know I’m going to make time to run. Late nights out in Vegas don’t make it easy, but it’s known I will move mountains to get my runs in. Read more about tips for training on the road here. Side note: I’ve been to Vegas many times — in fact a few years ago I went there to run a half marathon on the Strip — and done it up big. So I’m not bothered to skip “traditional Vegas” for something a little different. One thing that is tough for me when traveling no matter the destination — not eating like garbage. Airport Chick-Fil-A can be hard to turn down when you’re hungry or tired (or let’s be honest, it’s hard to turn down anytime.) Vegas buffets, In-N-Out Burger, pizza and pancakes called to me this week ... and I succumbed. You know why? Because it’s a vacation. I’m human and I have cravings and healthier food seems hard to come by on some trips. I think, once again, it’s all about balance. Eat healthy when you’re able and be conscious of what you’re using to fuel your body. But don’t be delusional and think you’re heading to Vegas and eating celery and tofu the whole time. It’s not realistic. (Unless you have severe dietary restrictions and in that case, I’m sorry.) I’m no dietician, but indulgence is one of life’s necessities. So I’m headed into this next week of training with some sunburn, dehydration, jet lag and tighter-fitting pants, but that’s life. Run happy and enjoy travel. Check back for future (and more detailed) weekly training recaps, and see others who are sharing their training adventures on the Cherry Blossom Ten Miler's Link Up page.